• … nothing binds us together more than sharing Christ’s Body and Blood at the Lord’s Table. 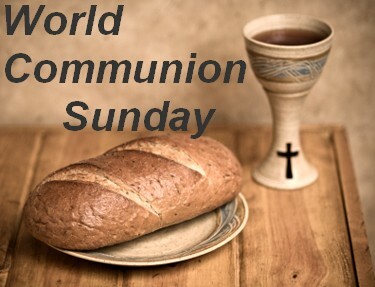 World Communion for most Christians is technically every Sunday, since every Lord’s Day worship since the early church was a service of Word and Table? John Wesley also sought to confront common objections to what what he described as “The Duty of Constant Communion” in his sermon by the same title? At the beginning of the year I felt the need to share in communion every Sunday, and I have essentially done that by attending 5 churches. At Thanksgiving I felt moved to pare that down to two, the Moravian Fellowship and the Episcopal church– I feel that is a good balance. I did not have to decide among the three UMC churches I have been associated with and I feel like I am going back to my Wesleyan roots (sort of). My main criticism of United Methodists is that we are not good at the “we” part, we tend to think “I”.